Yu-Gi-Oh! TCG Strategy Articles » Advanced Link Monster Tactics: What Does “Extra Linked” Mean? Home > Advanced Tips, Special	> Advanced Link Monster Tactics: What Does “Extra Linked” Mean? Advanced Link Monster Tactics: What Does “Extra Linked” Mean? In this video, it’s mentioned that there’s a way that you can make use of both Extra Monster Zones. Now that you’ve had a month to play with the basics of Link Monsters, it’s time to talk about an advanced strategy that only becomes available when using lots of Link Monsters. Before we can get to that though, we need to know what it means for Link Monsters to be “Extra Linked”! In addition to being linked or co-linked, there’s a special type of “linked” state that a monster can be in: “Extra Linked”. Only Link Monsters can be Extra Linked, and this state only occurs when a series of co-linked Link Monsters is built that connects a Link Monster in an Extra Monster Zone to a Link Monster in the other Extra Monster Zone. Each monster in the series must be co-linked to each other monster it is linked to in the series. Take a look at the example below. 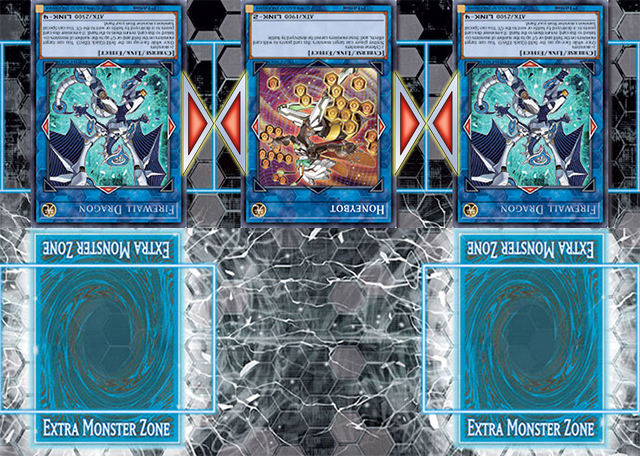 In this example, we’ve placed a series of co-linked monsters from the right-hand Extra Monster Zone over to the left-hand Extra Monster Zone where the opponent has Link Summoned Decode Talker. Each of our Link Monsters is co-linked to each other Link Monster it’s linked to in the series, so when we Link Summon the final monster in the series, each monster in the series becomes Extra Linked in addition to being co-linked and linked, including the opponent’s Decode Talker. Any Link Monster that is co-linked to one of the monsters in this series is also Extra Linked, even if it’s not contributing towards making the monsters Extra Linked. For example, an extra Honeybot to the left or right of one of the Firewall Dragons would also be Extra Linked. There is no inherent advantage or benefit to your monsters being Extra Linked, but some card effects may care about it, much like Ib the World Chalice Priestess cares about being linked and Firewall Dragon counts the number of Link Monsters it’s co-linked to in order to determine the strength of its effect. 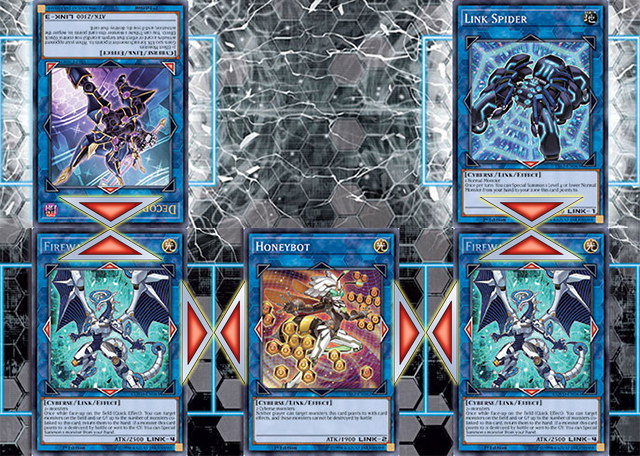 While most Link Monsters won’t benefit from being Extra Linked, you can benefit from creating a situation where your Link Monsters are Extra Linked. Let’s take our series of Link Monsters from before and remove the opponent’s Decode Talker from the field. Under normal circumstances you cannot occupy both Extra Monster Zones with monsters from your Extra Deck. There is one, and only one, exception to this rule: If Link Summoning to the second Extra Monster Zone would create a complete series of Extra Linked Link Monsters, you may Link Summon a monster to that Extra Monster Zone to complete that series. So in the above example, you are allowed to Link Summon a monster to the left-hand Extra Monster Zone if and only if that monster would be co-linked to the left-hand Firewall Dragon, causing all of the monsters to become Extra Linked. You don’t have to control all of the Link Monsters in the chain in order for this to be possible. Consider this situation. 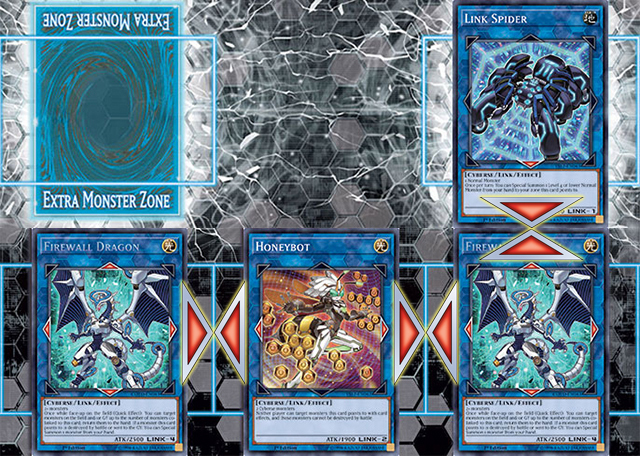 In this scenario, you could Link Summon a Decode Talker to the right-hand Extra Monster Zone, co-linked to the opposing Firewall Dragon, and then Link Summon another Decode Talker in the left-hand Extra Monster Zone co-linked to the other opposing Firewall Dragon. The second Decode Talker would cause the entire chain of Link Monsters to become Extra Linked, so this is allowed. 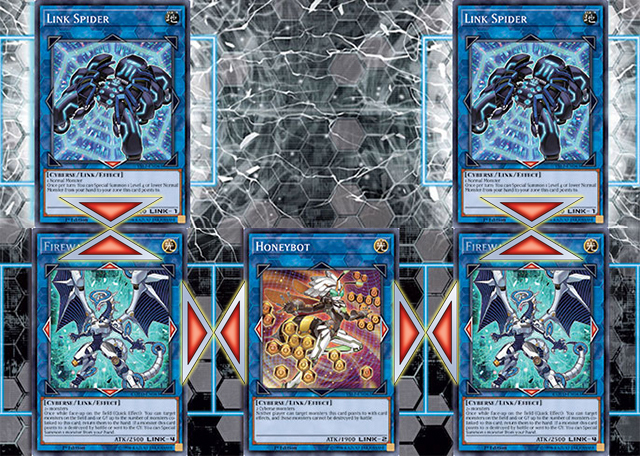 Link Monsters can be co-linked on diagonals, though at the time of this writing there are no Link Monsters whose Link Arrows point diagonally upwards. If at some point such Link Monsters were to exist, they could also be used this way. Scenarios like the ones presented above are rare, but now you know the additional opportunities when these situations arise! 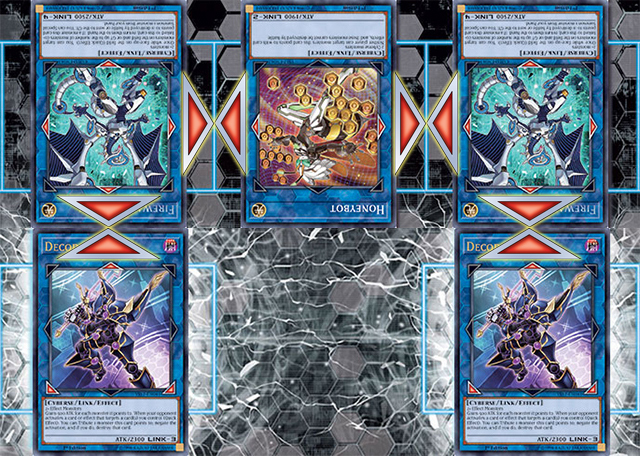 Legendary Duelists: Joey Wheeler’s Red-Eyes Code of the Duelist is here!